It is hard to believe how easy it is to make something so delicious! For that reason, this recipe tops my list of favourite homemade gifts for your friends or school teachers this Christmas. 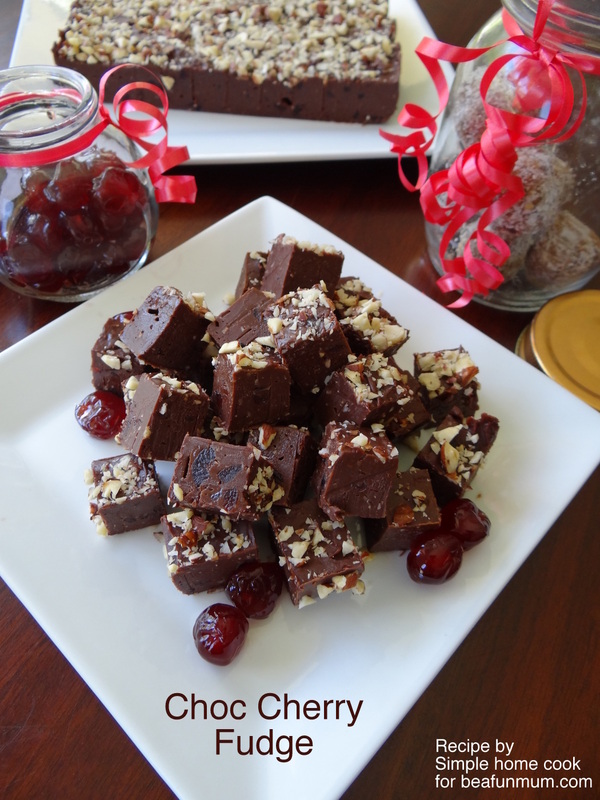 Gift giving doesn’t need to be expensive and for approx $13, you can make enough fudge to wrap up into 4 gifts. I like to buy some glass jars and fill them with fudge and wrap them with a Christmas ribbon. 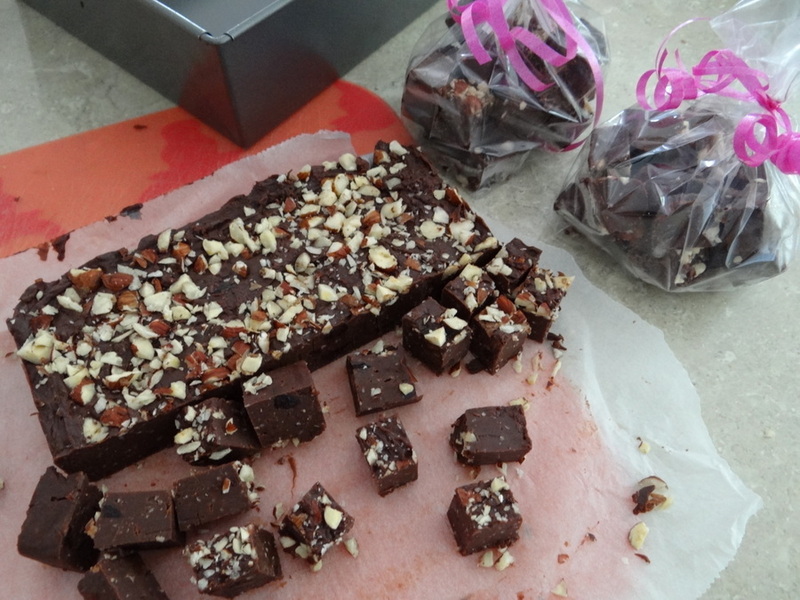 For a cheaper option, you can wrap the fudge in cellophane tied with some Christmas ribbon. 2. 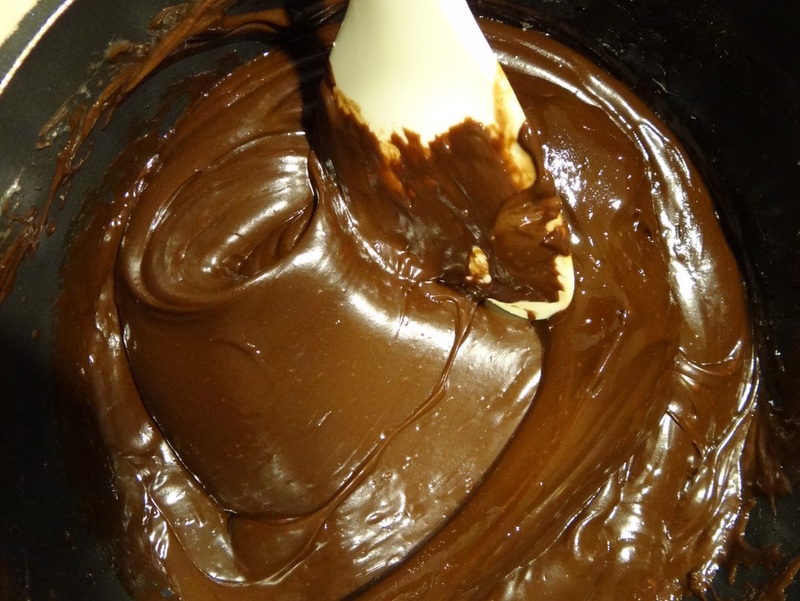 Combine chopped chocolate, condensed milk & butter in a saucepan. 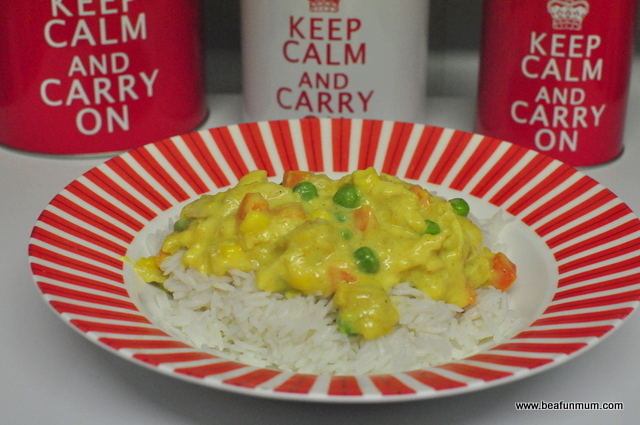 Stir constantly over medium heat until melted together & glossy. Remove from heat. This step can also be done in the microwave. 3. 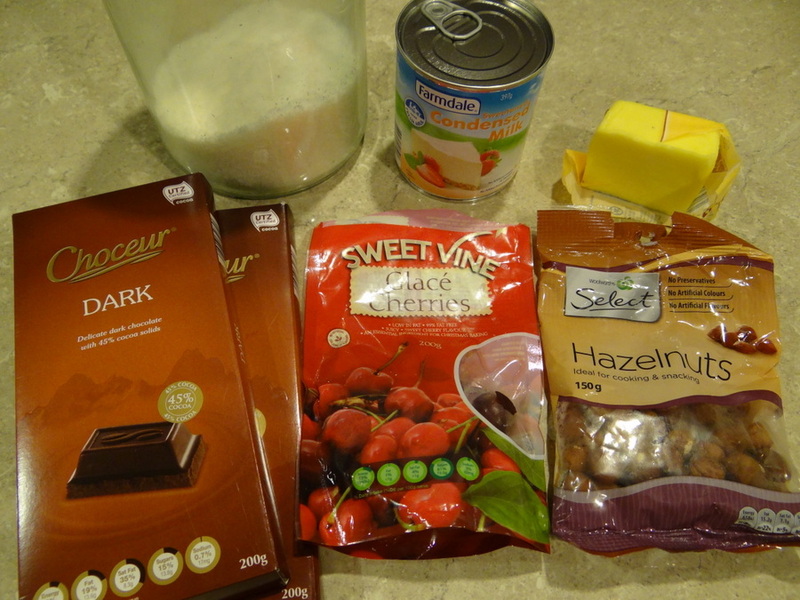 Roughly chop cherries and add to the melted chocolate. Add coconut & stir through. 4. Pour mixture into tin & spread out to edges. 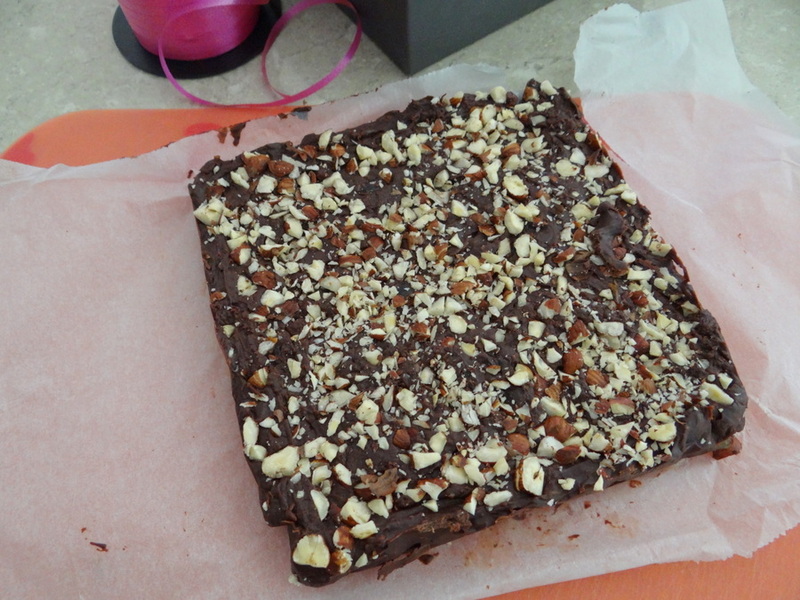 Roughly chop hazelnuts & spread over the top of the fudge. Gently press down to ensure they stick to the top of the fudge. 5. Refrigerate until set. Cut slice into small squares.